Dianna Warren, a Michigan native, trained on scholarship at the Chicago City Ballet and Joffrey Ballet Schools. She has been a member of the Washington Ballet, Cleveland Ballet, Ballet Met, and Das Berner Ballet Switzerland, where she performed various soloist roles. She has also guested nationally and abroad. For seven years, she was a member of the Ballet/Chorus of Phantom of the Opera on Broadway. She is currently teaching Ballet, Pointe, and Variations in New York City. She is also a certified GYROTONIC instructor. 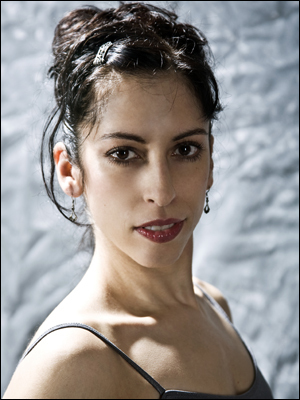 Dianna has been on the faculty here at Peridance as well as the Martha Graham School, French Academie of Ballet, and NYU/Gallatin. Dianna likes to focus on truly warming up the body and developing the class as it becomes more supple . Musicality and keeping a positive mental focus are key elements. She believes every dancer, at any level, can improve and grow by working with a teacher who examines their individual needs.